This gift box is made d ' a pair of slippers, a health and a pocket book. 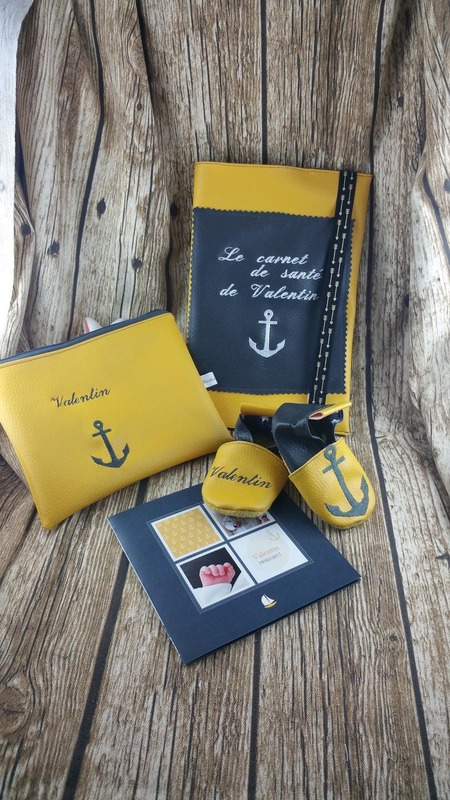 1 / booties have soft bottoms, top is faux leather dark grey and mustard here with the name of the child's foot and on the other an anchor. 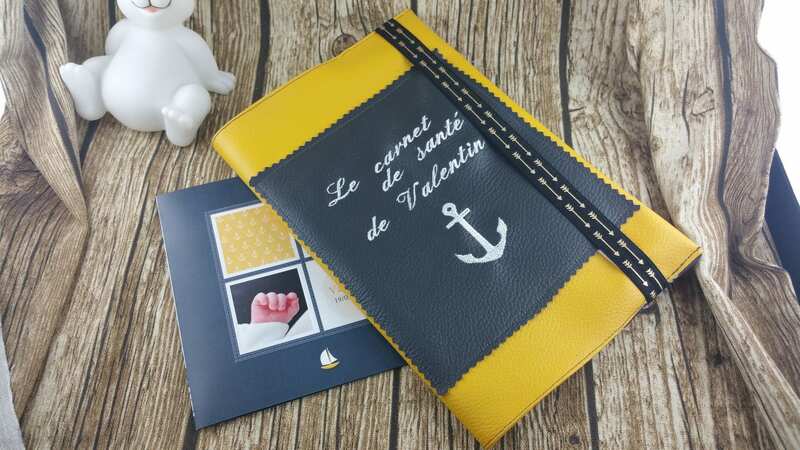 2 / protects it health record is faux leather dark grey and mustard, embroidered with the name of child and here with Navy anchor pattern. 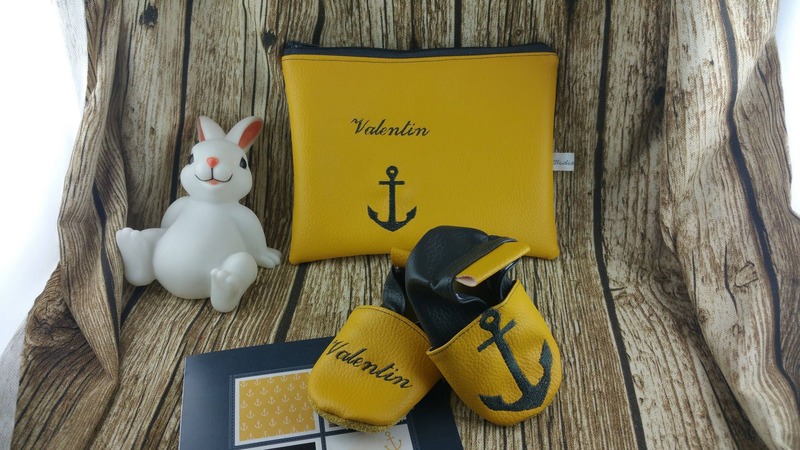 3 / wallet is faux leather mustard and dark grey, embroidered with the name of child and here with Navy anchor pattern. The pouch is lined with cotton and closes with a matching zipper closure. It is also possible to make the same case for girl with the appropriate colors.